If these facts haven’t put you to sleep, you should try improving your sleeping conditions with one of these best-rated down comforters. Humans are the only animals that can delay sleep. Space travel can cause insomnia. High altitudes can cause sleep disruptions. Caffeine does not give you energy. It only blocks the urge to sleep. Newborns are like cats. They need 10-18 hours of sleep everyday. You can only survive for 11 days without sleep. Night shift workers suffer higher rates of illness. The hours of sleep healthy adults need ranges from 4 to 10 hours. Put babies to bed before they fall asleep. Drowsy babies can learn to self-soothe to sleep. We still don’t know if animals can dream. Melatonin shortens the time needed to sleep, but not the total sleep time. 36% of Americans are at risk of falling asleep at the wheel. 34% of Americans are allowed to take a nap at work. Lack of sleep causes hunger due to higher leptin levels. Rates of insomnia increase as you get older. Your brain detects light levels to regulate your sleep cycle. Blind people can have sleep problems because they can’t see light in order to set their circadian rhythm. We sleep less during a full moon. People who sleep 6.5-7.5 hours live the longest. Some animals have to un-hibernate before they can sleep. Sleep apnea is correlated with erectile dysfunction. Your genes determine if you are a night owl or an early bird. 50% of teens are sleep deprived. The world record for staying awake without sleep is 11 days. Humans are the only species that can’t stay away with half of their brain. 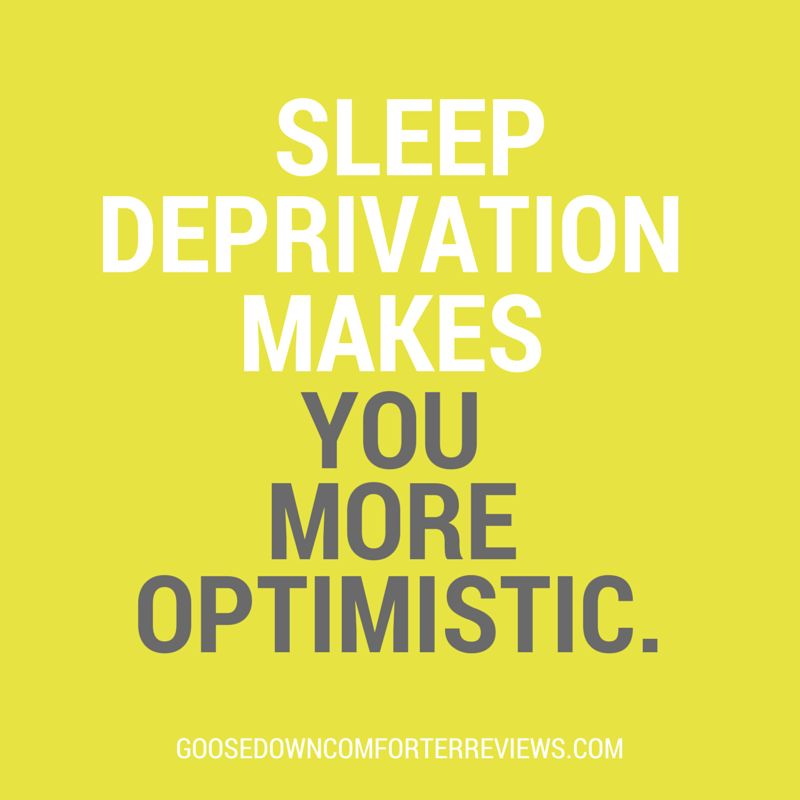 Sleep deprivation makes you more optimistic. Lack of sleep makes you act like a drunk. Sleep deprivation is classified as a carcinogen. Difficulty getting out of bed in the morning is called dysania. People sleep longer during a new moon. Tibetan monks can sleep upright. 50% of UK pilots have fallen asleep while flying a plane. Separated people report higher rates of insomnia. Lack of sleep can make you gain 2 pounds within a week. Knocker-ups were man-powered window-tapping alarm clocks. You can’t sneeze and sleep at the same time. Natural dips in energy at 2am & 2pm make ups want to nap & sleep. Sea otters hold hands while they sleep so they don’t drift apart. Believing you’ve slept well even when you haven’t improves performance. Strenuous exercise too close to bedtime makes it hard to fall asleep. Regular exercise makes it easier to fall asleep. Memories are formed while we sleep. Light on your knees can reset your sleep-clock. New parents will acquire 6 months of sleep debt before their child turns 2.